What I love about our house is that it's a completely blank slate. 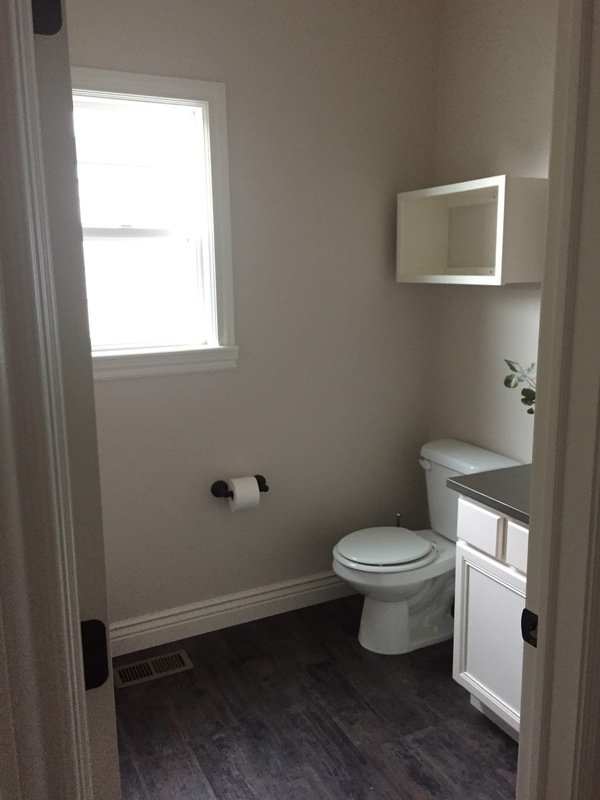 It has great molding, nice flooring and a pretty neutral color on all the walls. But some spaces can look a little blah. 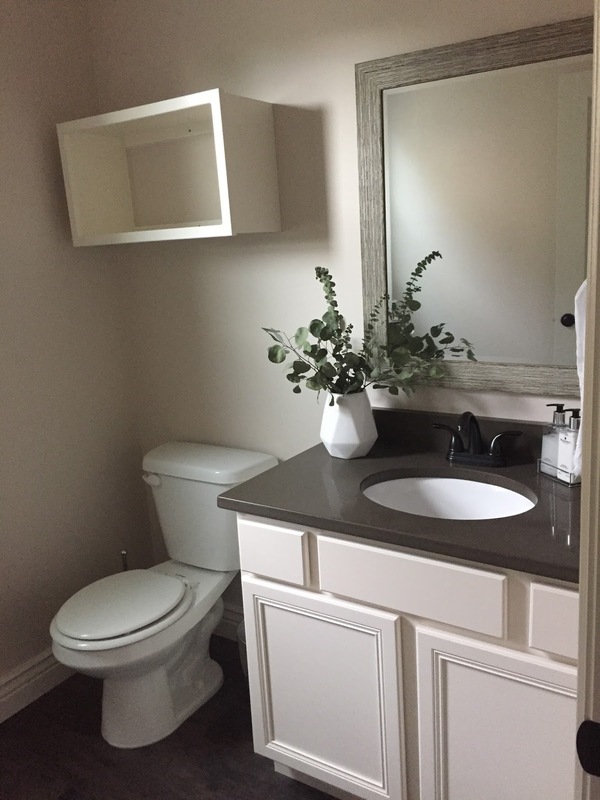 From the moment we moved in I knew I wanted to give our main floor powder room a little life. So I'm joining in the One Room Challenge put on by Linda of Calling It Home to see if I can pull off this makeover in the next six weeks. 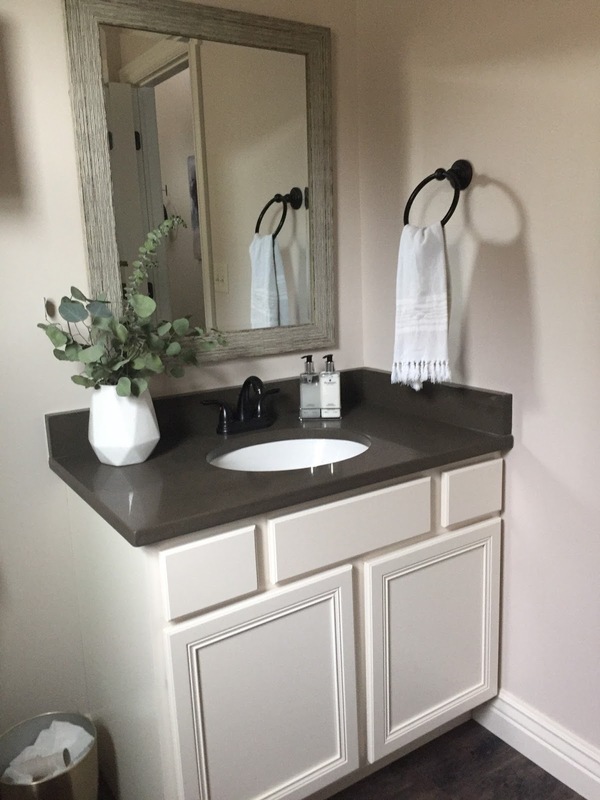 You can see that the vanity needs hardware, but I won't be doing anything too major like changing out the counter tops or faucet. I don't love them, but it's all brand new (and the counters are quartz) so probably not worth it at this point. 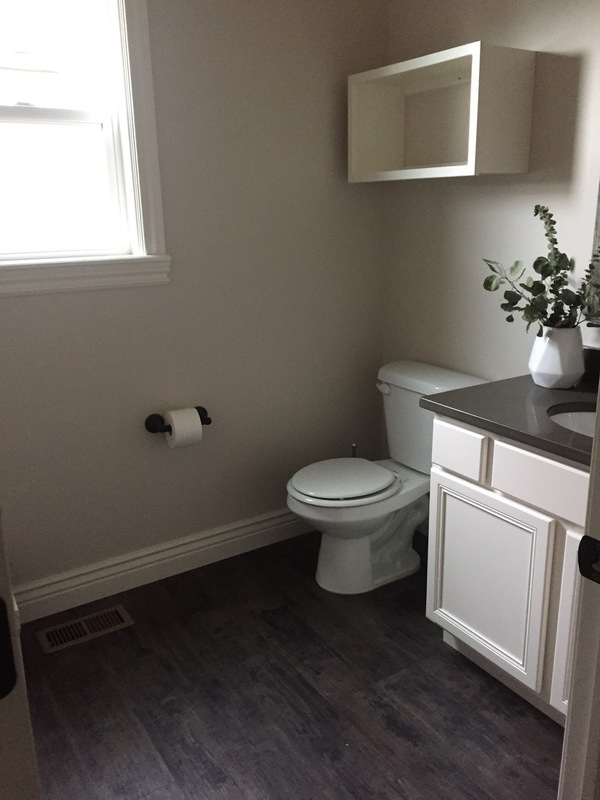 I will be removing the weird box above the toilet (there's one in every bathroom here - yikes), swapping out the mirror and changing the light fixture. 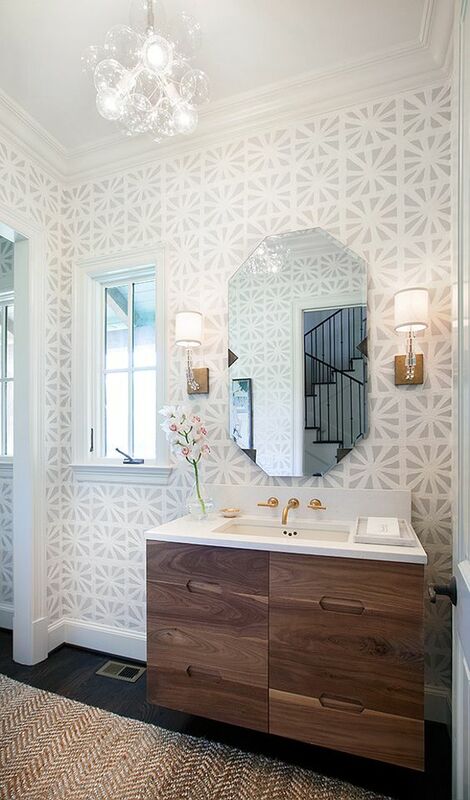 My vision for the space was still very neutral but with a bold patterned wallpaper to punch things up a bit. This was my biggest inspiration photo. 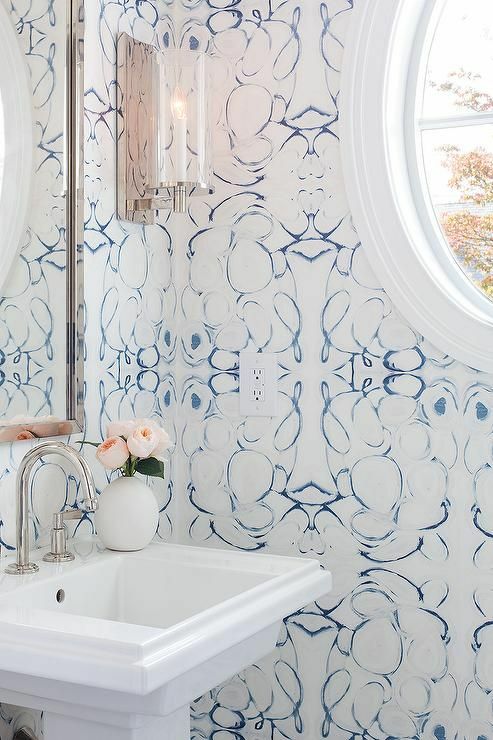 Actually, I wish I could have just used this wallpaper, but it's designer so $$$$. 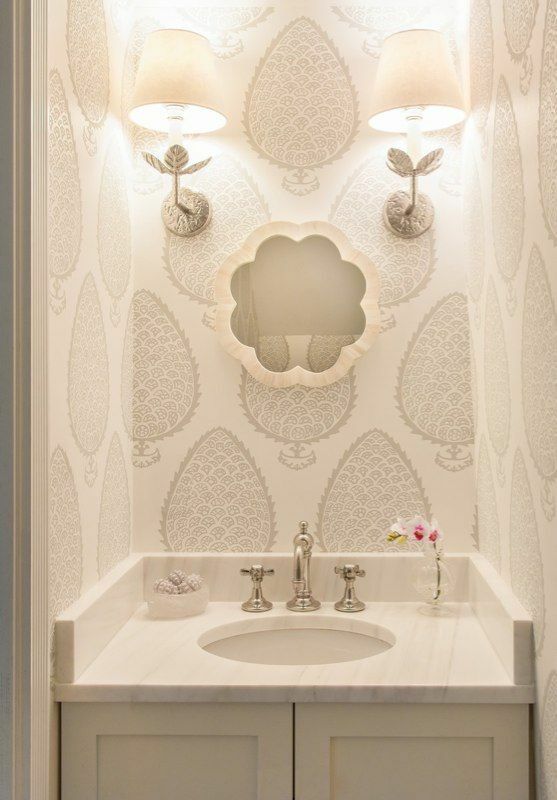 As you can see I'm really drawn to large-scale wallpaper patterns, rather than the smaller ones. 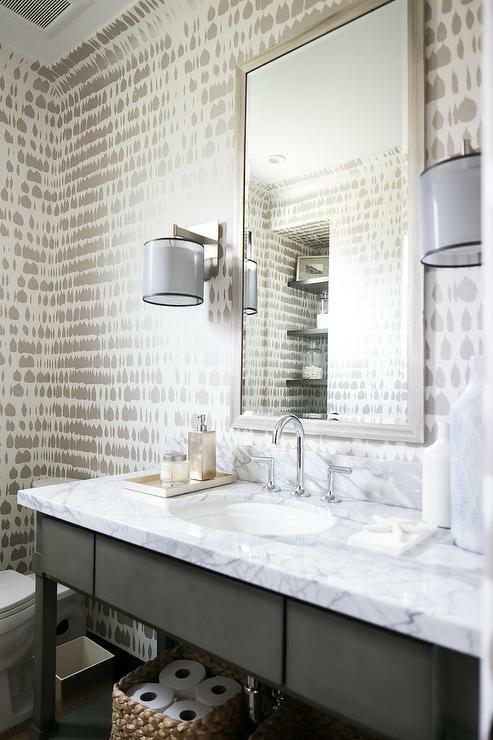 Initially my plan was to do peel and stick wallpaper so I didn't damage my walls, but after literally scouring the internet, it turns out that stuff is crazy expensive and just to do this little powder room would have been $1,200-$1,600. No thanks. 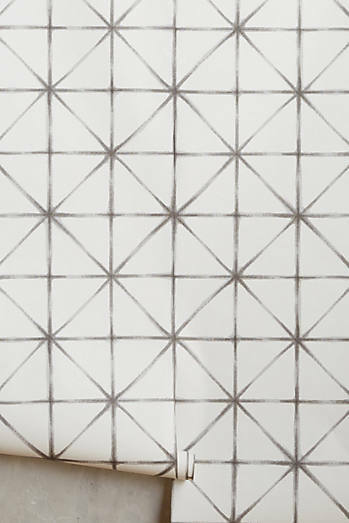 So I took the leap and ordered real wallpaper (gulp) and here is what I have planned. 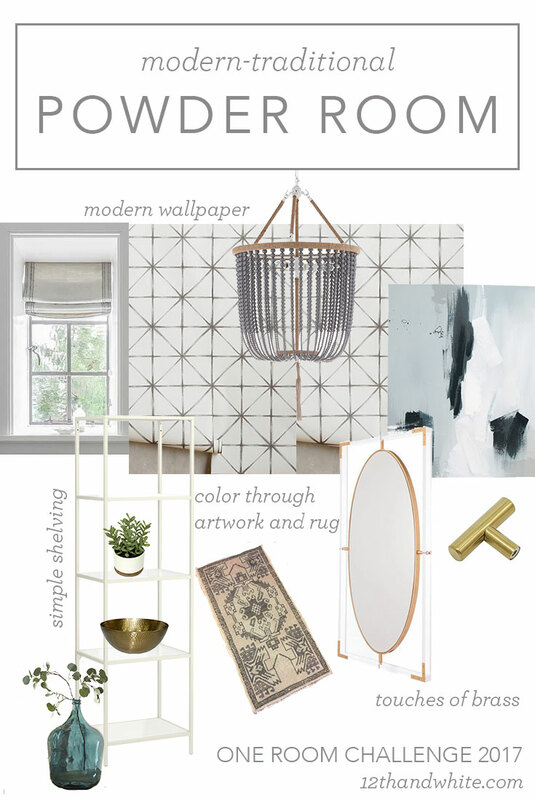 I ordered this geometric wallpaper from Wayfair and I think it will be the perfect neutral but still bold backdrop that this little space needs. 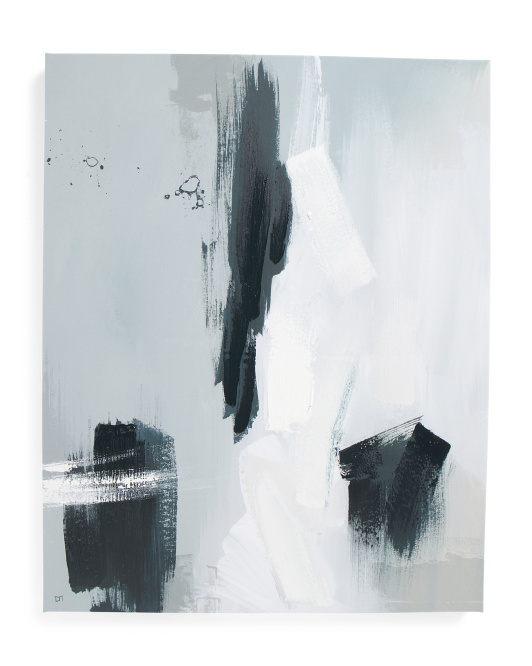 I also ordered this abstract print from TJ Maxx, though it may end up being too blue once I get all the elements together. Thankfully it's easy to return! 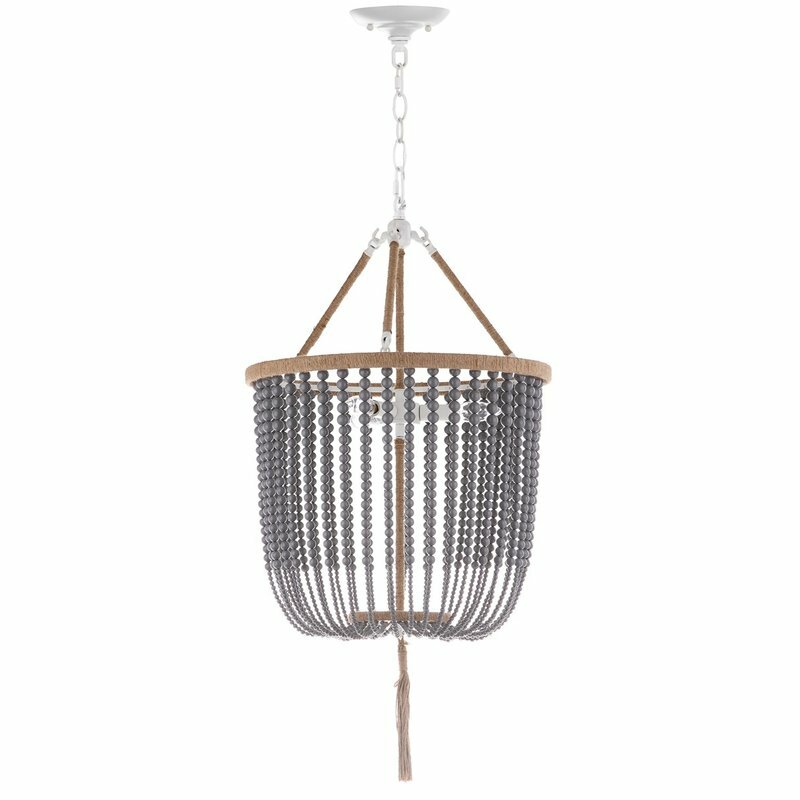 This pretty beaded chandelier will add some interest and bring the eye up to the tall ceilings. It's such a good price too! Of course I had to debate between the white and gray, but I ultimately think the gray will be more of a statement. 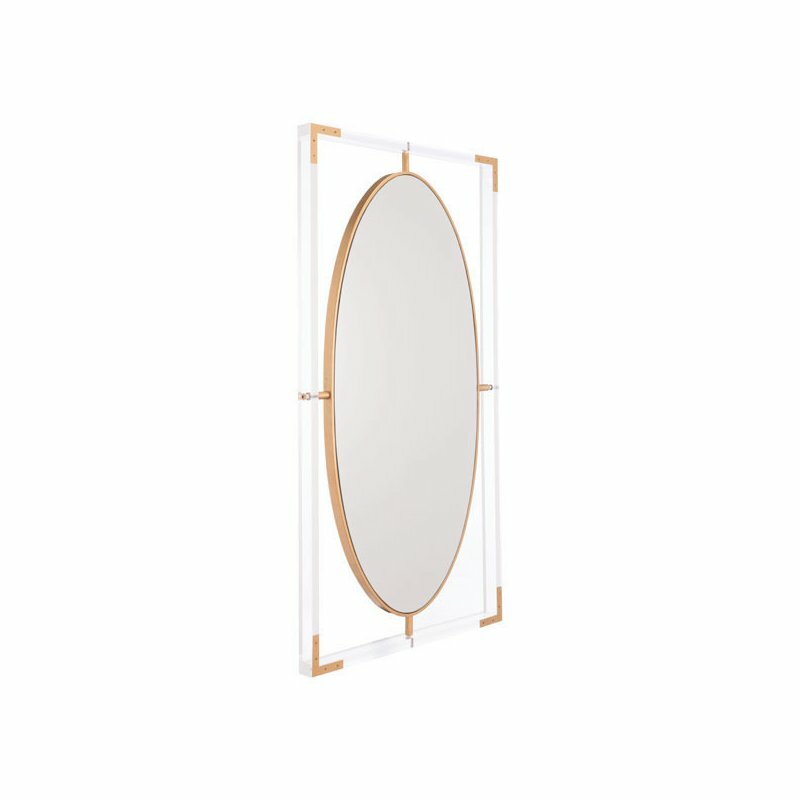 I absolutely love this lucite mirror, though it's sold out right now. 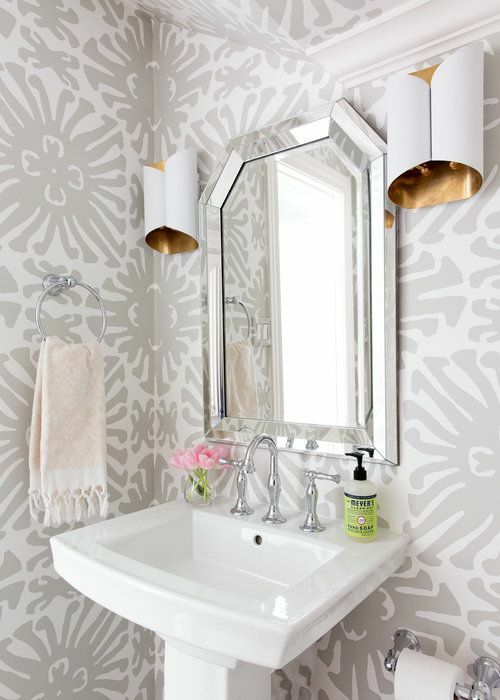 Truthfully I'll probably try to find a mirror at Home Goods, but something along these lines would be pretty. 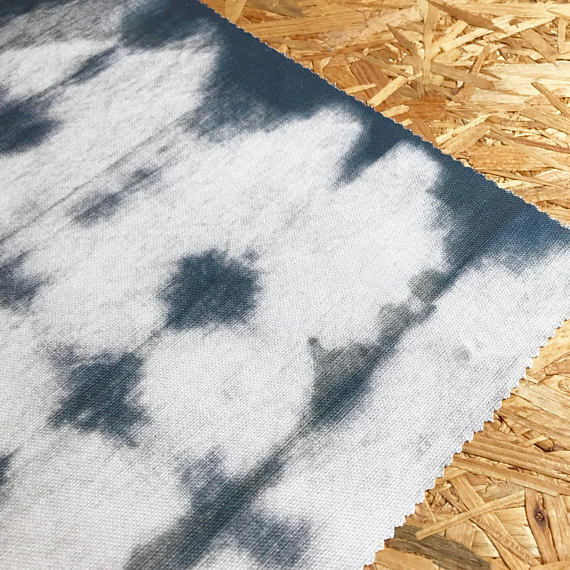 I'm also considering this fabric for a faux roman shade for the window, but we shall see if I stick with it. And last but not least, I plan to add some interest, storage and accessories through bringing in this inexpensive metal etagere from IKEA. It's definitely not the largest One Room Challenge anyone has ever taken on, but I think it will definitely keep me busy for the next six weeks! Now I'm off to watch about a million YouTube tutorials on how to hang wallpaper! Wish me luck! It sounds like it will be beautiful. You are right. 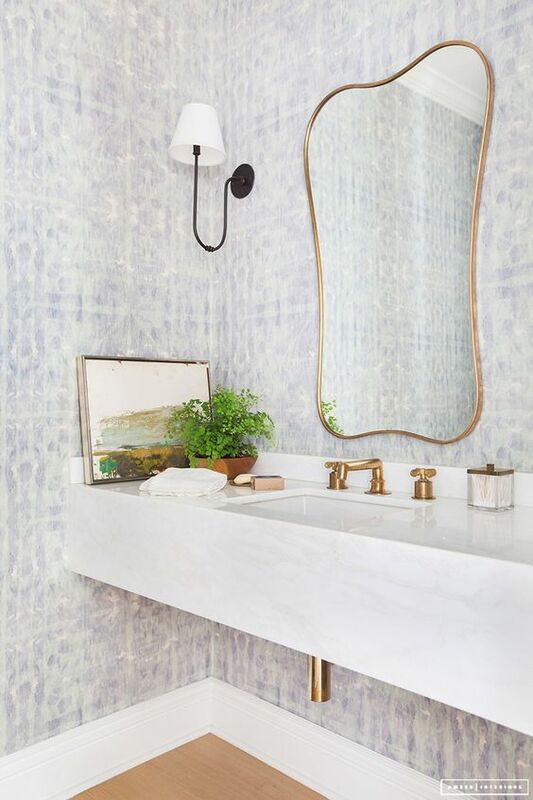 Your bathroom has great bones. Looking forward to your transformation. Thanks Katie! I'm excited to get started!